Capricorn Dec. 22nd - Jan 19th Hello Capricorn! This week it is likely that you will experience a change, possibly in several areas of your life, that brings about a new beginning. This change may take place at work in the form of instituting a new policy or project, or you may consider a new job altogether. Perhaps you will find yourself considering starting or ending a personal relationship, which brings about a new beginning. Know that as anxiety producing as such a new beginning can sometimes be, that underneath it all is good, beneficial energy that is getting you where you want to go. You have a good idea already of what must be done, but the hard part is the doing of it. The Divine is guiding you to muster your courage and take the steps you need to take. Don’t delay. 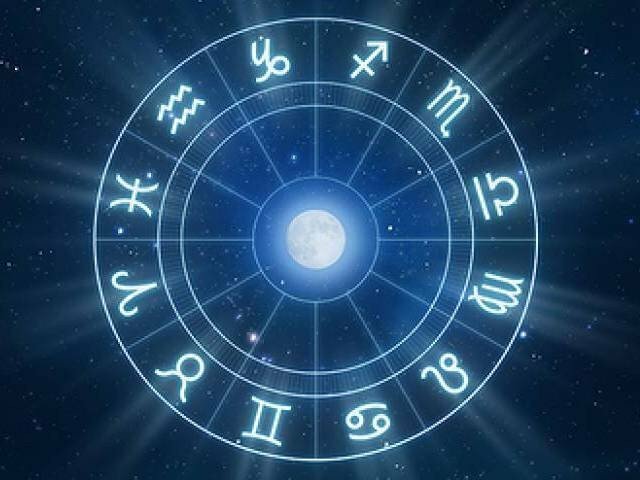 Aquarius Jan 20th – Feb 18th Hello Aquarius! This week it is all about “doing the right thing”. We have rules and systems in place for a reason, and Spirit is guiding you to try to operate within them. If you are struggling with an issue and are unsure about what is “right” for you to do, Spirit is guiding you to trust your instincts. Work will most likely go well this week, so long as you stay organized and work within the rules. All signs point to this being a good time to work or get together in groups, even if you are more typically a loner. You will probably find romance will function better if you follow a more traditional path than unconventional one. Ritual of any kind is helpful to you now. If you have health challenges, discipline, order, and commitment - in whatever way that makes sense to you - is the way to go about it. Pisces Feb 19th – Mar 20th Hello Pisces! This week the Divine is guiding you to nurture yourself, and to allow others to nurture you. Things are likely to improve in the work place. If needed ask for support from your co-workers. There is someone, most likely a male, who is very much on “your team” and will be there for you. Your romantic life will be in good energy. If you are single, someone who is very balanced and loving is headed your way soon. Spirit is asking you to face the reality of your financial situation and to ask for help if needed. Treat your body with care and compassion this week. Perhaps it is time to put in place some boundaries for yourself and others. Aries Mar 21st – Apr 19th Hello Aries! This week Spirit is letting you know that renewed good times are on the horizon for you. You may consider leaving a situation that is no longer working for you. If you are receiving gut feelings that tell you that you really need to get out of a relationship, job, or living arrangement, then trust yourself. Whenever there is a separation of this sort, there can be sadness involved, but in general, know that this is for your highest good. You can feel assured that you will be making the right choice. If you feel stress impacting your health, be sure to pay attention to diet, exercise, and the amount of sleep you are getting. Look for balance and keep positive. Taurus Apr 20th – May 20th Hello Taurus! This week should be a good week for you in the area of relationships. You are likely to be feeling more than usually cared for, loved, and content. Expect to be feel comfortable and appreciated in the workplace. If you are worried about money, Spirit is letting you know that for the moment and near future, you should be finding that you have more than enough money to meet your obligations. If you are in a romantic relationship, keep working to maintain the balance in your partnership and enjoy the loving energy from your partner. You are likely to be feeling “at one” with the energies of the universe and with yourself. You should be feeling more than usually loving toward everyone and everything. The Divine is guiding you to share that good energy. Gemini May 21st – Jun 20th Hello Gemini! This week you are likely to have a great deal of mental and physical energy and Spirit is cautioning you to use it wisely. In the workplace or possibly in your love life you may experience some conflict. If so, check yourself. Are you trying to hard, pushing too fast, or possibly stepping on the toes of others? This is a good time to pay attention to the body language of others and contemplate how well you do or do not accept constructive criticism. Consider giving your partner some space as this is crucial for his/her happiness. The Divine is guiding you to ask for help from experts in matters of your finances. Don’ assume you know more than you do and be careful not to overextend yourself financially at this time. Cancer Jun 21st – Jul 22nd Hello Cancer! This week you will most likely need to put in a lot of very hard work. This work can be personal or professional. Spirit is guiding you to think about what it is you are working for, and be prepared to ask for help if needed. The dedication you put towards everything on your plate that needs accomplishing is admirable, but remember that no one should work all the time. You can only do so much, so be realistic and strive for balance. Make a point to make time and space for your romantic partner, as your workload or that of your partner may be intruding on the relationship. Consider your priorities and where your time and energy is going. Make sure you have room for the important people in your life. Leo Jul 23rd – Aug 22nd Hello Leo! This week things should be going well, projects should be progressing right on track, and in general you should be feeling pretty good. The Divine asks you to take any moments of self-doubt or possible fear and do away with them, as that will disrupt this positive energy flow. Be confident to speak your truth and let people know where you stand on issues and situations. Trust that your mind has clarity and your thinking is clear, which could help others by tactfully showing them how things truly are. This energy flow you are in right now could set things in motion for a positive change to occur either in your personal or work life. Keep thinking for yourself remaining independent of other’s influences. Put energy into your future, making decisions that are well thought out and based in research. Turn your worry and fears to your advantage in order to grow stronger to face what is ahead. Enjoy the positive energy flow this week. Virgo Aug 23rd- Sep 22nd Hello Virgo! This week there is positive energy all around your work life. Even if you don’t work outside of the home, your efforts are being seen, appreciated, and are well respected. You have a lot to be proud of regarding your work performance, even if you haven’t see the rewards or been given the feedback you were looking for. Hold your head up high and know that you have a lot to bring to the table. You are likely to find that your finances are going much better too. Things are looking up, but do not overextend yourself financially. Be sure to put some away for a rainy day. Take a look at your romantic life and consider if your partner is treating you as an equal. If not, speak up and make your position clear to them. If you are single and wishing for romance but have no prospects, consider that you are spending too much time on work and not enough attention is being given to your personal life. Your efforts to improve your health are starting to show. Don’t hesitate to consider alternative ways to treat or deal with challenges. Libra Sep 23rd – Oct 22nd Hello Libra! This week you may find yourself in situations where you may need to reason with others. The Divine is guiding you to remain detached and objective, in order to ascertain the truth and seek out only the facts. Be quite direct about what you are observing. You may be concerned that you are not being particularly caring or sympathetic but at this point in time, this detachment is what is needed most. This is a time when you need to leave emotions out of it, and remain as objective and rational as possible. You have clarity of mind and can perceive the truth right now, so you must take the lead with providing an objective point of view. You may ascertain that you may be the one who needs to change something major about your behavior, thoughts, and/or expectations. Try not to be overly sensitive this week. Remain objective in your response and outlook in life. Scorpio Oct 23rd – Nov 21st Hello Scorpio! This week the Divine is asking you to remember that no matter what your situation, that you always have options to choose from. Don’t allow other people tell you that your options are limited. If you come to that conclusion, be sure that you are coming to it on your own. It will be crucial to remember that you can free yourself from whatever restrictions are holding you back, at any time you choose to do so. You may have the feeling now that you are not in control of your life; sometimes this happens as a result of your own actions, but more often as a byproduct of inaction. So, take action, take whatever steps you can to give yourself the feeling, however slight, of being in control. It can be as simple as making a choice on what you are going to have for dinner. Small steps are important, too. Remember you hold the keys to your own freedom. Don’t give up hope! Sagittarius Nov 22nd – Dec 21st Hello Sagittarius! Good news is headed your way this week, possibly in the area that deals with matters of the heart. The Divine would like you to be open to exploring your feelings about your romantic as well as your platonic relationships. You may find that you will receive positive messages with regards to these relationships. Expect to feel charged and ready for action in personal and work matters. Look for projects in your work to start moving in a better direction, most likely sooner than expected. Divine wants you to feel proud of your accomplishments as well as your contributions. Good news about your finances is on the horizon. If you are concerned about your finances, the Divine would like you to figure out exactly where you are financially (down to the nickel), as the situation is not as bad as you think. If you are on a spiritual path, you can expect to enter new realms in your spiritual exploration. Be aware of signs from Spirit that will open up new ways of looking at things for you. In particular pay attention to things that appear to be coincidences, as these are often the way Divine tries to deliver messages.